The RAAF has officially taken delivery of its fifth Boeing C-17 Globemaster III, A41-210, in a ceremony held at the manufacturer’s final assembly facility in Long Beach, California on September 14. The delivery ceremony for A41-210 was attended by Minister for Defence Stephen Smith, Chief of the Defence Force GEN David Hurley, secretary of the Department of Defence Duncan Lewis, and US Ambassador to Australia Jeffrey Bleich. “Since 2006, Boeing has enjoyed a strong partnership with the RAAF and the crews who fly the C-17. 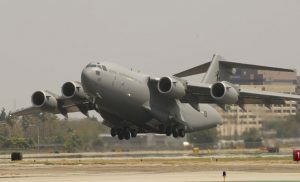 With this fifth C-17, the RAAF continues to expand and extend its global airlift reach,” C-17 program manager, Bob Ciesla said. “Australia’s fleet of four C-17s has been on the front lines of defense and humanitarian missions around the world, and continues to demonstrate the aircraft’s great versatility and capability. We look forward to a continued close partnership with the Commonwealth,” added Boeing Military Aircraft president, Chris Chadwick. 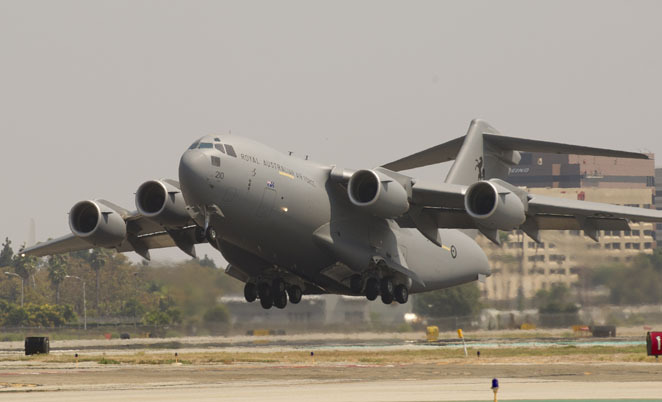 The recent delivery follows the signing of an FMS agreement between Australia and Boeing for a fifth C-17 in April, and the subsequent first flight of the aircraft on August 25. According to Boeing, 235 C-17s are currently in service with 24 customers worldwide.